The drive for a fair and prosperous future for Renfrewshire is gathering momentum. Councillors are getting ready to vote on submitting an application for the council to become an accredited Living Wage Employer and record numbers of local businesses have attended a seminar on the benefits of accreditation. The Living Wage is a voluntary hourly rate set independently, updated annually and calculated according to the basic cost of living in the UK. It affords people the opportunity to provide for themselves and their family. This year, it is set at £8.25 an hour. However, there are around 16,000 jobs in Renfrewshire that pay below the Living Wage. So, for many people, work is not a guaranteed route to a sustainable standard of living. Renfrewshire’s independent Tackling Poverty Commission recommended that the number of jobs paying less than a Living Wage be halved to improve lives throughout the area. The council is encouraging other Renfrewshire employers to join it in seeking accreditation and its campaign is gathering strength. 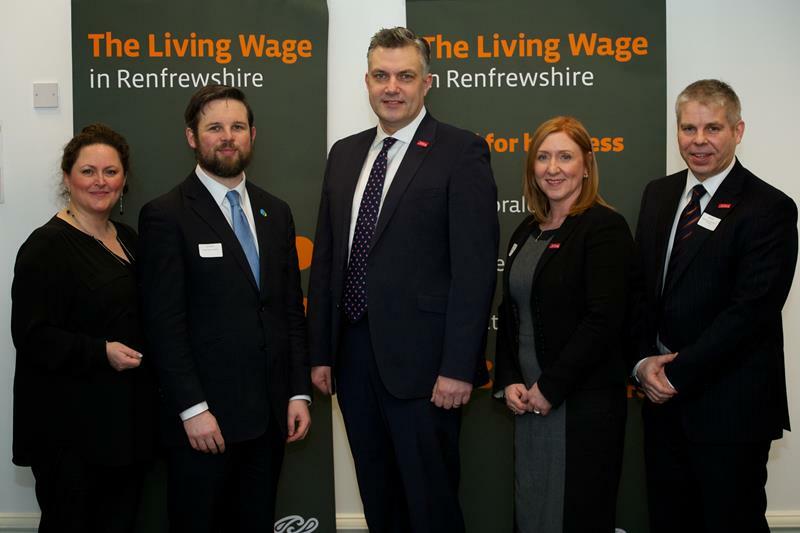 More than 60 local businesses took part in a seminar on Wednesday and discussed how the Living Wage can benefit them, their employees and Renfrewshire’s communities. Other speakers at the seminar included: Alison Dowling from the Renfrewshire Wide Credit Union and Bob Grant from the Chamber of Commerce, both of whom are already Accredited Living Wage Employers, and Fiona Hughes, the council’s Procurement Manager.